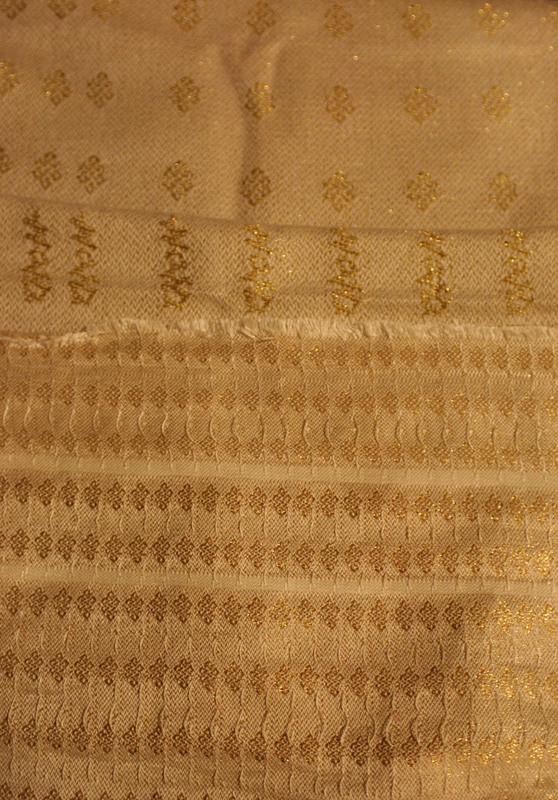 The samples at the bottom are done with a single strand of gold obi-making thread, about the thickness of 120/2 silk, as weft.Â The samples at top are made with two strands of the gold obi-making thread. 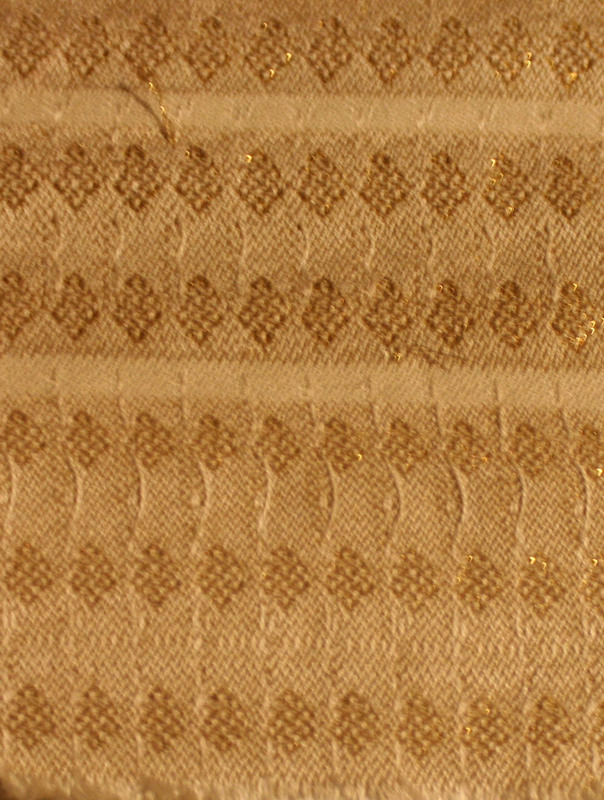 I expect sampling to consume the next week or two – I am balancing my desire to try multiple designs with the fact that I really can’t afford to waste much more time in the Quest For The Perfect Fabric.Â I’m down to four months for this project, during one month of which I will be doing chocolates and another two weeks visiting relatives at Christmas.Â So it’s effectively 2.5 months, which is not much time to weave another 14 yards of fabric and sew it all together, especially if I’m using couture methods. I think you’re right about the thicker weft. I had forgotten how fabulous those double happiness symbols are! What an intriguing project.